These are the subject headings of your My Forward Steps Membership emails numbered 51 to 60, that you’ve received to date. If you have not been receiving these Member update emails, then you will want to take a look at this Subscription page and check. My Forward Steps 1-10, My Forward Steps 11-20, My Forward Steps 21-30, My Forward Steps 31-40 and My Forward Steps 41-50. Every 10 emails that you receive, I will create a page similar to this, so that you can easily review all the material sent over each 70 day period of Membership. It provides a handy reference page, in brief summary style, of all your content. 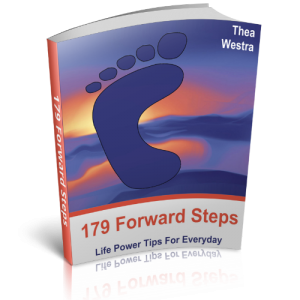 This gives you a little time to revisit the My Forward Steps material that you’ve received to date. Plus, enables you to catch any emails that you had perhaps missed due to busy schedules. You are also then able to check for anything new that may have appeared at any of these pages since you last visited your My Forward Steps Member site.